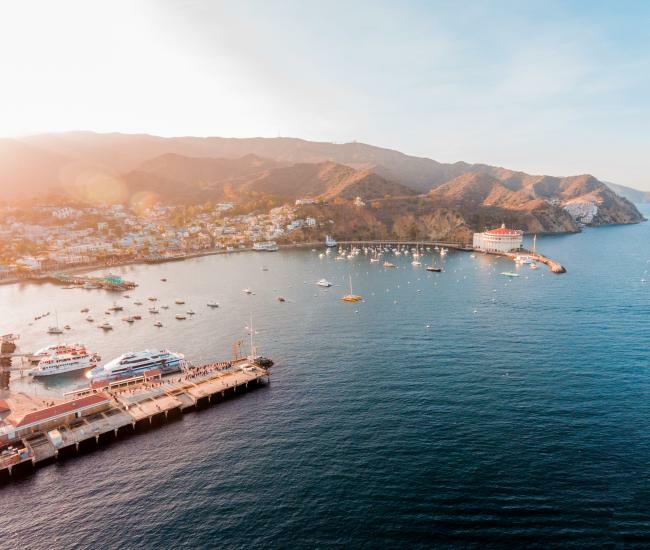 Perched on one of the island’s highest peaks, the Airport in the Sky has offered the tantalizing opportunity for Southern California pilots to fly to Catalina Island for seven decades. Thanks to its spectacular island location, experienced general aviation pilots regularly cross the channel for lunch at the DC-3 Café, hiking the island’s many trails or spending a few days in Avalon or Two Harbors. 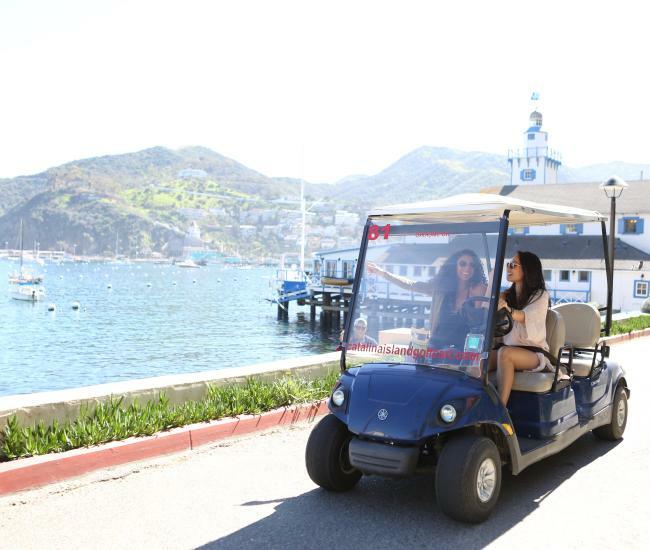 AVX also serves as an essential link for services, including mail service and freight delivery, which are brought to the island by Catalina Flying Boats. Built in 1941 and initially named Buffalo Springs Airport, in early 1942 the airport – like much of the rest of the island – was drafted into service to help fight World War II. Throughout the war, the island served the Merchant Marines, the US Army, the US Navy, the US Coast Guard as well as the Office of Strategic Services, the precursor of the Central Intelligence Agency, and the United States Army Air Forces, the precursor to the US Air Force. That history of serving the military is now being repaid by the United States Marine Corps and the United States Navy; thanks to a Department of Defense program known as the Innovative Readiness Training Program, which brings together civilian needs with military training objectives. After nearly 80 years of landings, the asphalt airfield at the airport was desperately in need of rebuilding and the Catalina Conservancy, which manages the airport along with protecting nearly 90 percent of the island, was notified that without a plan to rebuild the airport would need to be shut down. That’s when the Marines – and the Navy -- came to the rescue. Building a concrete airport in a remote location was an operation that integrated perfectly with military training objectives. About 100 troops are currently living in tents near the airport, working tirelessly to give the Airport in the Sky a new airfield that will last another 70 years. Private donations have funded the materials, including a $1.5 million contribution from aerospace manufacturer ACE Clearwater Enterprises, whose generosity will result in the airstrip being named Ace Clearwater Airfield. 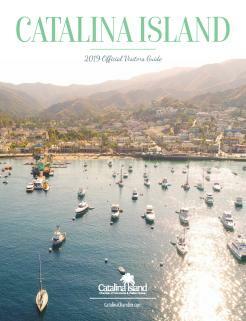 The latest improvements at the Airport in the Sky are just the latest chapter in a long history of Catalina aviation. The first flight from the mainland to Catalina Island took place in 1912, when legendary aviator Glen Martin flew from Newport Beach to Avalon Harbor in a bi-plane he had made himself. Martin would go on to set many more records, but that 1912 flight was not only the first time anyone had flown to Catalina, it was also the first time a flight had taken off and landed on the water. From that auspicious beginning Catalina’s aviation history was born and for decades it was inextricably entwined with seaplanes. For generations, Catalina seaplanes were a popular mode of cross channel transportation, bringing thousands of individuals to the island. Operating under several different airlines, these seaplanes initially utilized a terminal at what is now Hamilton Cove. After landing just offshore, planes would taxi to the beach where they were hauled ashore onto an ingenious turntable terminus. Once arriving passengers deplaned and departing passengers boarded, the turntable could be rotated and the plane pointed in the right direction for taking off toward the mainland. 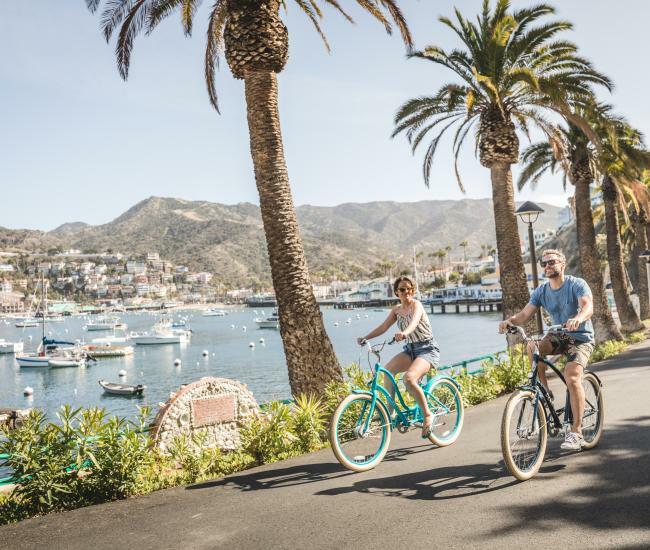 In later years, Grumman Goose seaplanes arrived at the Pleasure Pier and at Pebbly Beach, offering scheduled commercial air service to Catalina Island until 1989. 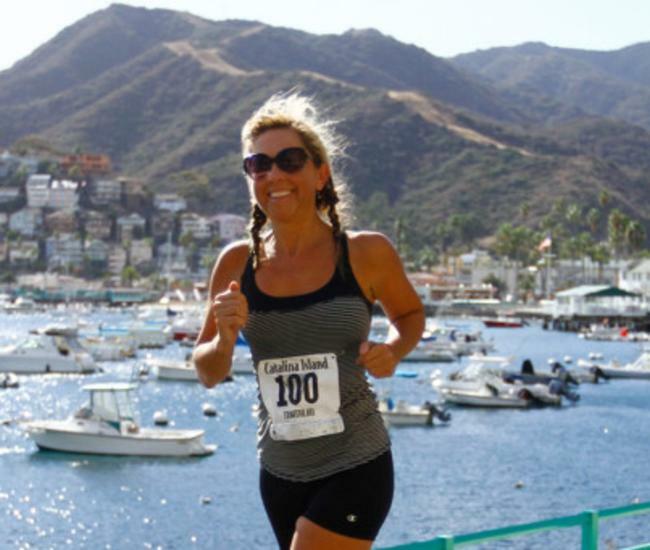 These days, the only way to fly to Catalina Island, unless you are – or are friendly with – a pilot, is via helicopter. IEX Helicopters offers on-demand charter service to Avalon from Long Beach and San Pedro as well as several other Southern California airports.